Now that I’ve had a minute to breath after the Canada vs. USA game (woohoo! ), shall we talk the weekend? I was craving waffles, but quickly changed my mind to crepes when I realized we hadn’t had them in over a year..maybe two. Plus, crepes are more fun. After my gift of flours for valentine’s day I had lots to work with, so I decided to try a wheat-free crepe using the Arthur’s Gluten Free Blend. These worked perfectly, after a few trial (i.e. 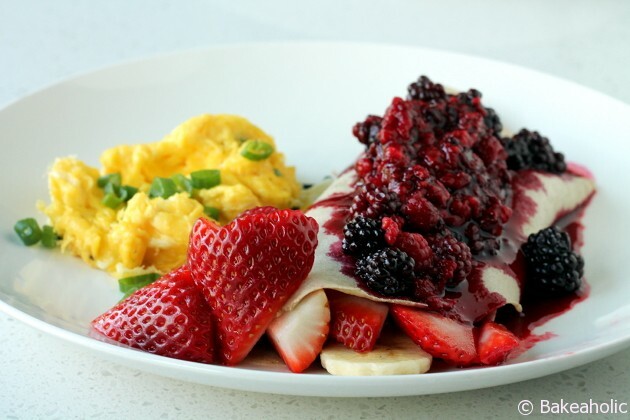 sample) crepes, I found the perfect combination of wet/dry ingredients to ensure a thin, rollable crepe. 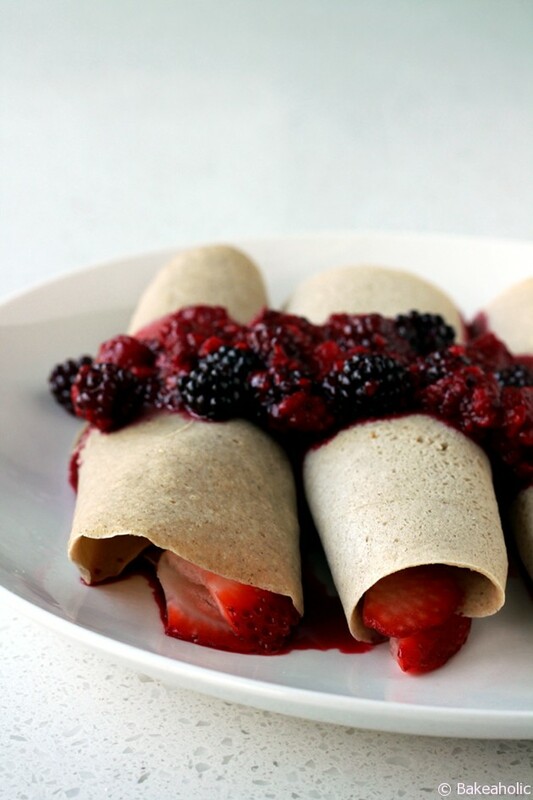 Thin, crisp wheat-free and sugar-free crepes. Fill with your favourite fruits and fillings. Heat a non stick crepe pan on medium heat and spray lightly with coconut oil or other baking spray. Using a 1/4 cup measuring cup or ladle, pour batter in the middle of the pan and roll the pan from side to side to produce a thin, round crepe. Cook it for 1 or 2 minutes. Use a rubber spatula to check edges. Once it is set, and lightly browned on the bottom and bubbly on top switch to a flipper. Flip it up and cook the other side for 1 or 2 minutes and transfer it on a plate - cover until all crepes are ready. 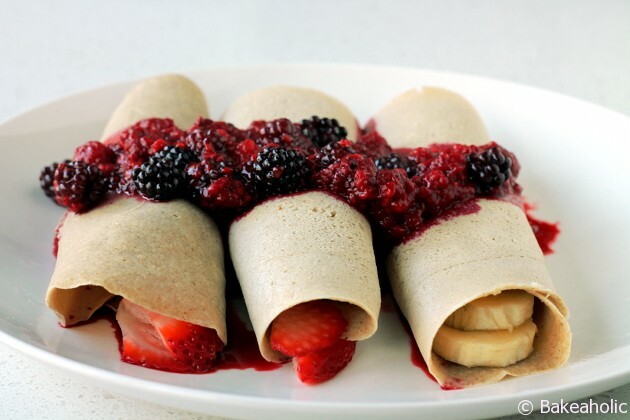 Roll the crepes with fresh fruit and other delicious fillings like nut butter, jam, chocolate spread etc. A crepe pan works best, but you can definitely make these on a regular non-stick pan. Make sure it is heated well before beginning and be careful when flipping.